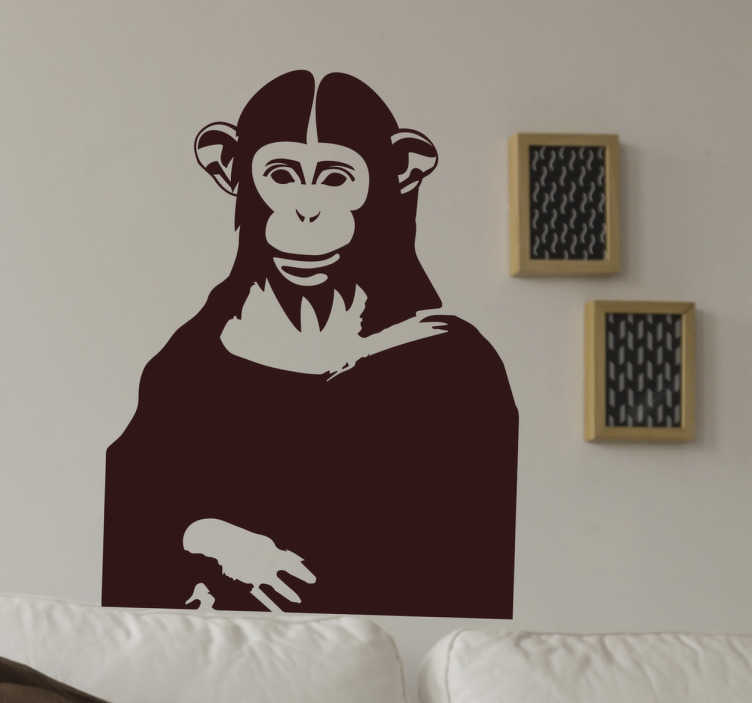 This funny wall sticker and quirky take on the world famous painting by Leonardo DaVinci, the Mona Lisa, shows her mysterious human smile replaced by a chimp's face! In a stylish monochrome design, show visitors to your home your love for great art, but also that you don't take yourself too seriously. Made from a high quality vinyl, this anti-bubble decal is sure to last and is available in a variety of different sizes!